When you’re looking for the right spot for your next date night or for a fun night out with friends, check out the specials and upscale atmosphere offered at Arroyo Grille at Ak-Chin Southern Dunes Golf Club! Regular weekly specials include the classic fish fry each Wednesday for $13 per person. On Thursday evenings, feast on a Kansas City strip and fries for $13. The prime rib dinner special happens every Friday and Saturday evening, so when you’re in the mood for prime, stop by Arroyo Grille! Weekly specials are served after 5 p.m. and quantities are limited. Reservations are recommended; call 520-426-6832. Did you know that you can even order these specials to go if you’re short on time? Call ahead and your meal will be waiting for you to pick it up and go! For the morning people in your crowd, Arroyo Grille also features an early bird breakfast Mondays to Saturdays before 8 a.m. throughout January. For just $5, enjoy two eggs, bacon, and hash browns. A coupon is needed, available online. Get your day off to a great start with a tasty, economical breakfast. Before or after your great meal at Arroyo Grille, make time for golf at Ak-Chin Southern Dunes Golf Club! This award-winning, Troon Golf-managed club offers first-class golfing with a welcoming, laid-back atmosphere right here in Maricopa. Southern Dunes now offers dynamic pricing for golf rates – rates adjust in real time based on demand, availability and other changing factors. Book your next tee time online by visiting the Southern Dunes Dynamic Pricing page on your computer or from your smart phone! 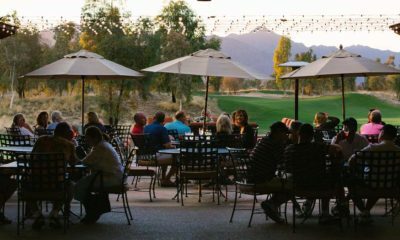 When you’re looking for good eats and a great time, check out the offerings at the Arroyo Grille and the Ak-Chin Southern Dunes Golf Club! The views of the nearby mountains, along with inspired food, fun and top-notch golf, will have you coming back again and again!